Defiance in the face of Death is a rare element and a feat that is unachievable to many. But there are examples of people throughout the world who have faced death and pulled out of there through sheer courage and of course with the help of expert Doctors. These people remain anonymous and their tales are known only to some people that remain in that vicinity. Often these tales are reported by the media which quickly jumps to the ultimatum that is a victory dance. The pain behind that endurance and the courage shown when all hope is lost, often remain unknown or are lost in translation. In an attempt to depict these lost elements in a pragmatic manner and to make the tale of such defiant young individual familiar to the world, Malayalam film director Dinesh Baboo is bringing us Krishnam. Krishnam is the story of young Akshay Krishnan who went through horrible life-threatening ailments in a young age and refused to give up, standing as a living example of what courage looks like. The movie depicts the story of the boy, what he was, what he went through, and how he came out of it. Krishnam differs from all the similar concept films as it casts the actual victim as the hero of the film. Who better to depict the pain than the one who endured it… This is a novel step and is out of the ordinary for any film industry. The film involves Renji Panicker, Aishwarya Ullas, Shanthi Krishna, and Sai Kumar along with Akshay Krishnan in the cast. Krishnam movie which was released on 18th of May in India, is going to come to your flat screens on May 23rd 2018. 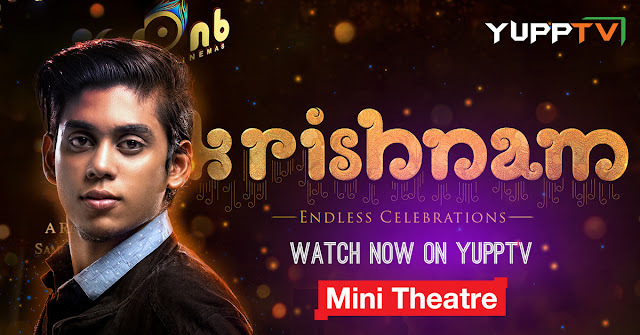 Watch the film in HD on YuppTV Mini Theatre right from your homes at a bare minimum price.